P2 continues in and shoots and follows steps 2 - 5. 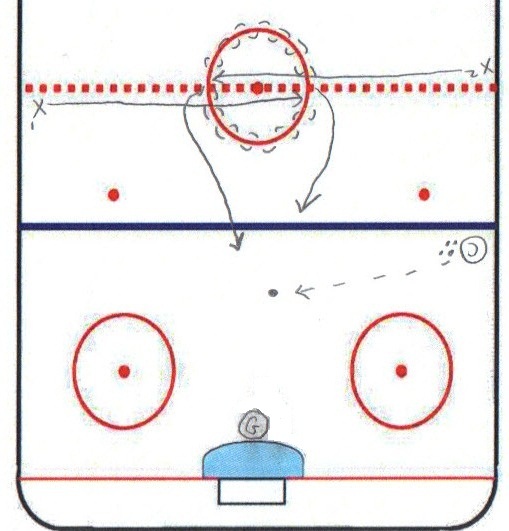 This will get them skating hard at the beginning of practice but will also focus on good give and go passes. 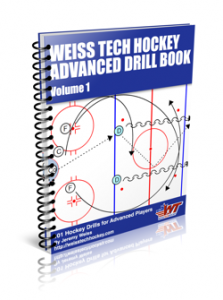 Thanks to Kevin @Hockeyshare.com for the image and drill.